I've got a special treat that I wanted to give a bit of space so I didn't include it with the Eastern European sci-fi film posters below. 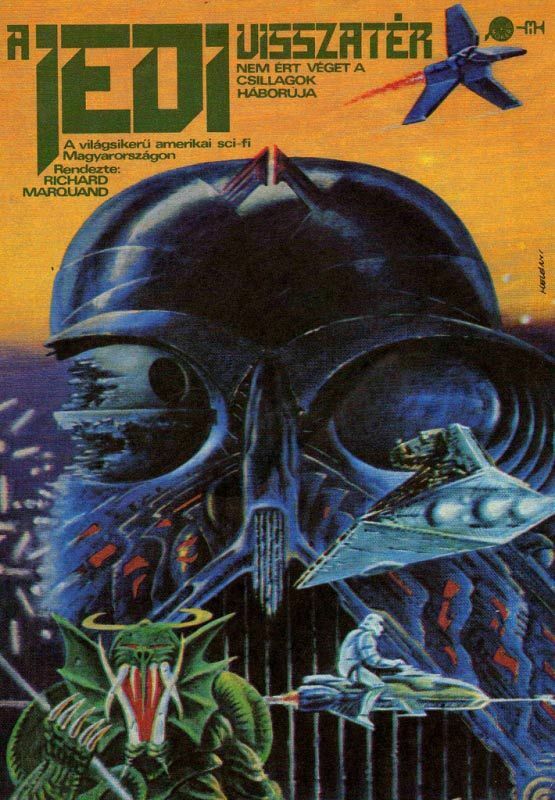 It's the original theatrical posters for the Hungarian release of the original Star Wars trilogy and they are absolutely gorgeous. Feast your eyes on Star Wars, Empire and Jedi, in that order below.